Campbelltown is located in the charming Macarthur region south-west of Sydney offering an array of experiences. Enjoy the quality restaurants, adventurous activities, sports, concerts, historical sites and the spectacular natural wonders. Only 45 minutes from Sydney, this growing and vibrant region offers modern delights whilst being surrounded by scenic bushland and historical charms. Quest Campbelltown is conveniently located near the M5, Campbelltown Road and centrally located near the Campbelltown CBD. Enjoy an easy drive and access to many business parks including Campbelltown, Ingleburn, Minto, Prestons and Smeaton Grange. The combination of lifestyle, culture and unique attractions is why more and more people are discovering the Macarthur region. **GRAND OPENING SPECIAL** - Brand new & modern - including Full Kitchens, Lounge Room, Dining Room, Personal Laundry, Gymnasium, King or Twin Beds, Foxtel, CD/DVD Player, iPod Docks. **GRAND OPENING SPECIAL LIMITED - Brand new & modern - King and Twin Beds including Full Kitchens, Lounge Room, Dining Room, Personal Laundry, Gymnasium, King or Twin Beds, Foxtel, CD/DVD Player, iPod Docks and Balcony. **GRAND OPENING SPECIAL** including Continental Breakfast daily, 24 hour internet access on arrival! Our brand new, modern studio rooms kitchenettes, dining area, guest laundry, gymnasium, king or twin Beds, Foxtel, iPod docks, The Sanctuary charging stations. **GRAND OPENING SPECIAL** including Continental Breakfast daily and 24 hour internet on arrival. Brand new & modern - including full kitchens, lounge room, dining room, personal laundry, gymnasium, king or twin beds, Foxtel, CD/DVD Player, iPod Docks. 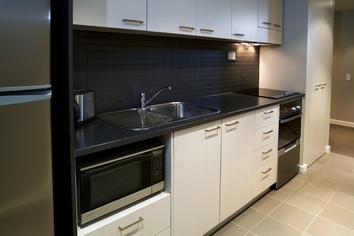 Quest Campbelltown in south west Sydney is centrally located for the business traveller. Quest Campbelltown is situated alongside the M5 and provides easy access to the commercial business hubs of Campbelltown, Minto, Ingleburn, Prestons and Smeaton Grange. Reception is open from 700AM to 1100PM. If arriving outside of these hours please contact Quest Campbelltown to arrange a late check in. We look forward to welcoming you to Quest Campbelltown. 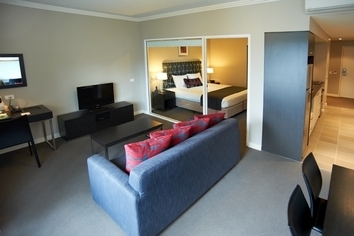 Quest Campbelltown welcomes all guests, however to accommodate additional guests a surchage of $35 applies. Children up to 3 are free. Cots are available for an additional $10. Quest Campbelltown offers complimentary parking.Secure undercover and roof top parking is available please ask reception on check in what would be more convenient to your room. 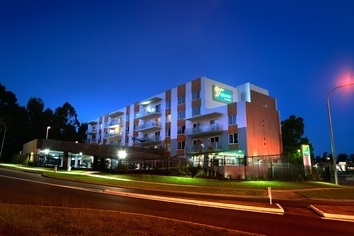 Quest Campbelltown is located in the Macarthur region, south west of Sydney. Campbelltown is a vibrant and growing region filled with many experiences from adventurous activities, action packed sports, exceptional historical sites, spectacular natural wonders and an array of quality dining experiences. Filled with scenic bush land surrounds, historical charms, wineries, retail therapy and modern delights, Campbelltown offers something special for everyone. The Campelltown Arts Centre is a state-of-the-art facility delivering a broad range of contemporary cultural programs in both the visual and performing arts. The Japanese Gardens and Teahouse is a relaxing and tranquil experience within a traditional Japanese setting. The CUBE offers a state-of-art entertainment, conference and function venue. Enjoy your next meeting, conference or night out at The Cube. Mount Annan Botanic Garden is Australia's largest botanic gardens with more than 4000 species of native plants across 410 hectares. The Beer Shed is a small scale brewery where you have a hands on brewing experience in making your own beer. Choose from more than 200 styles of beer to suit your taste.